A PERFECT 10! Fall in Love with the Spacious Front Porch Overlooking the Flat Park Like .46 Acre Lot Blooming with Perennials; Contemporary Open Floorplan with Walls of Windows, Cathedral Ceilings and Open Living Spaces; Beautifully Renovated Kitchen with Center Island Overlooking the Family Room with Cathedral Ceilings, Walls of Windows, Custom Built in Shelving and Pellet Stove; Owners Suite with Newly Renovated Bathroom including Dual Vanities, Oversized Shower, Pretty Tile Floor and Surround, Spacious Walk in Closet with Shelving, Renovated Bathrooms Throughout; Lower Level Rec Room, Storage and Exercise/Workshop Area. 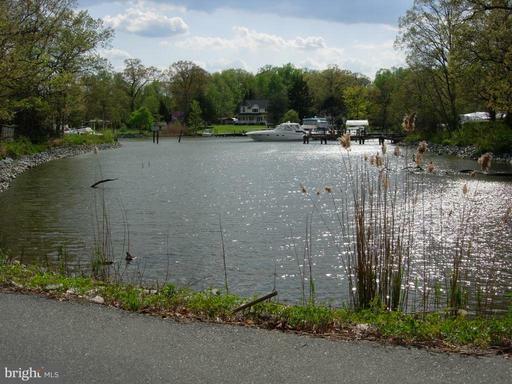 Enjoy the Community Pier with Boat Slips, Waterfront Park/Picnic Area, Tennis Court and All Sport Court. Broadneck Blue Ribbon Schools. Easy DC/Baltimore Commute. WELCOME HOME! Unique and spacious home situated on almost one and half acres in a coveted and quiet neighborhood. 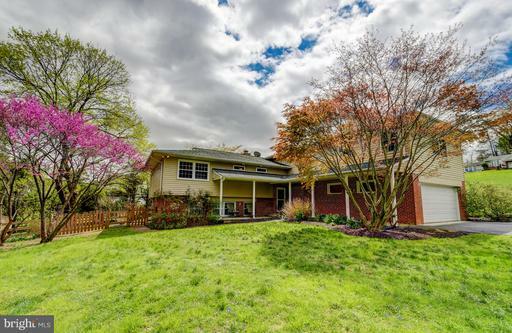 Diverse living area on the main level features gleaming hardwoods throughout, cozy living room with wood burning fireplace, formal dining room, sitting room with 20 ceilings, laundry room and recently updated powder room. Gourmet kitchen has been updated with top of the line stainless steel appliances, custom cabinetry and granite countertops leading to the breakfast room and adjacent main level guest room with full bathroom. Main level master retreat with new, modern master bathroom. Lower level features PLENTY of living space including 4 well-sized bedrooms, 2.5 baths, 2nd laundry room, a workout room, game room and family room with walk out access to the sprawling backyard. Impressive utilities including three zoned HVAC system and dual propane water heaters. Sprawling front and rear yards, two car attached garage, large rear patio and updated hardscaping. Luxury living with all of the modern amenities and a private, country feel! BACK ON THE MARKET AFTER UNDERGOING A KITCHEN RENOVATION AND PRICE REDUCTION! Walk through the pleasing arched, entry door into a marrow-deep retrofitting and refurbishment. 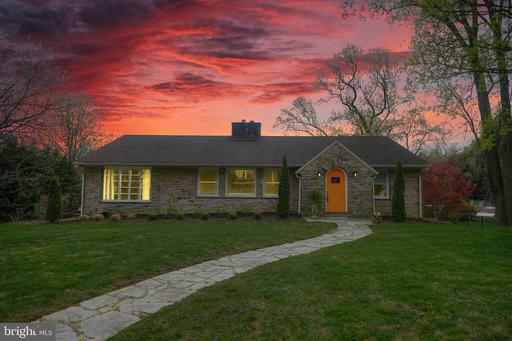 This 4BR, 3BA rancher is a home of the twenty-first century! It is flooded with natural light. 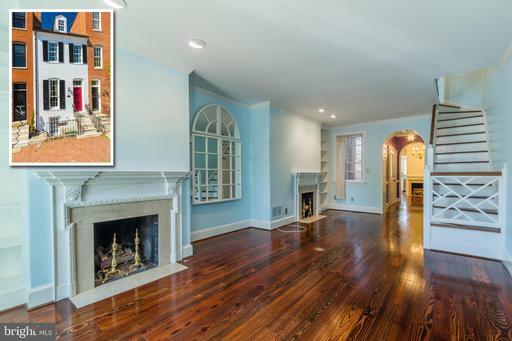 Scrupulous attention to renovation details, seen and unseen, make this 2600+-sq. ft. home a masterpiece of design.The open-concept main floor plan is a dazzling blend of modern and energy efficient amenities in concert with a tasteful historic context. The contemporary, renovated baths andupdated kitchen space, with top of the line cabinetry, unique touches of marble, granite, tile, and glass are a true work of art. 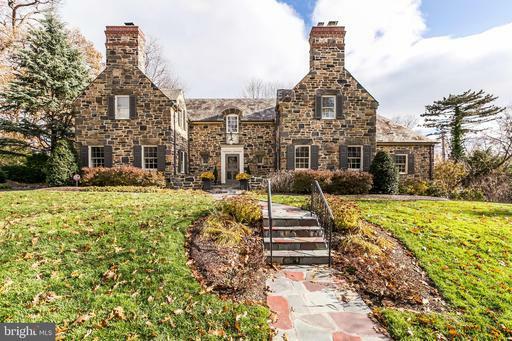 Chilly evenings spent by the impressive stone hearth fireplace, or warm ones spent enjoying the inviting stone patio, and serene outdoor spaces, are sure to conjure up wonderful memories. The old-world charm extends to the terraced lawn, boasting walls of locally sourced stone. 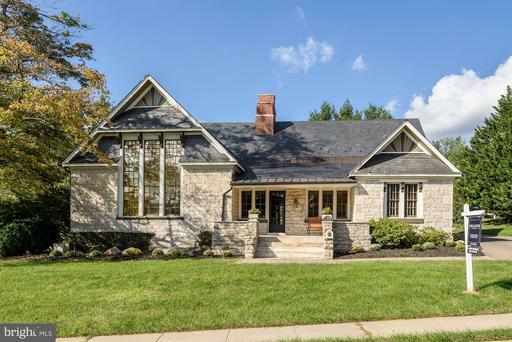 It is located in the highly sought after community of Lakehurst, right over the Baltimore County line, and within walking distance to Lake Roland Park, top-tier schools, retail and restaurants. A dream come true! Impeccable Quarry Lake luxury home offers exceptional, move-in ready living spaces ideal for creating life long memories! Enter to find gleaming hardwood floors throughout the open concept main level. Entertain your guests in the spacious sun drenched formals with stylish stacked crown molding and large bright windows or relax and unwind in the family room off kitchen, with cozy gas fireplace . Prepare your meals with style and ease in the Chef~s kitchen boasting stainless steel GE Profile appliances, Dacor gas cooktop, granite counters, oversized center island, and sunny breakfast nook with access to peaceful deck and screened in porch. Work from home in the quiet study with bay window and French doors. Mudroom off garage complete with custom built in shelving and drawers offers storage solutions for dropping shoes, coats and bags upon entry! Upper level hosts comfy sleeping quarters, each with attached full bathroom, including expansive master suite with two custom walk in closets, tray ceiling, oversized bay window, sitting area and luxurious full bath featuring marble tile, separate vanities and relaxing soaking tub. Fully finished lower level features an open, spacious recreation room, sizable private guest suite with attached full bathroom and plentiful storage. Enjoy walks through the park-like setting of the Quarry Lake community with amenities including resort style swimming pool, gym, tennis courts, clubhouse and more. Shopping and dining within the community and easy access to commuter routes and downtown. This home is ready to enjoy and impress! STUNNING WATER FRONT PROPERTY!! 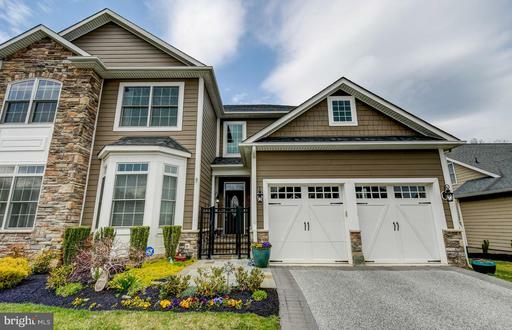 Tour This Custom Build Home With 4 Bedrooms, 3 Full Bathrooms, 2 Car Garage Gorgeous Water Views From The Deck. On Main Level, Youll Admire The Open Floor Concept With Hardwood Floors, Living Room With Electric Fireplace Deck That Overlooks Back River. This Chefs Kitchen Includes Tons of Cabinet Space, Granite Counter Tops, Gas Stove, Kitchen Island Breakfast Bar, Dishwasher, Built In Wine Rack, Recessed Lighting. Main Level Bedroom Can Be Office Potential. Upper Level Has 3 Spacious Bedrooms Including Master Bedroom En Suite With His Her Walk In Closet, Dual Vanity Sink, Jacuzzi Tub W/ Separate Stand Up Shower, Tray Ceilings, Recessed Lighting Water View. Lower Level Has Bonus Great Room 2 Car Garage! Home Comes With 1 Year Home Warranty Not To Exceed $550! Historic Clynmalira or Sweet Air Manor boasts authentic style of a Nineteenth century manor with all the comforts of modern day living. Showcasing elegant detail throughout, this stunning home offers 6 bedrooms, 6 1 half baths and 11 wood burning fireplaces. Completely updated gourmet kitchen highlighting beautiful white cabinetry, granite counters, top of the line stainless steel appliances, gas cooktop and an oversized island with ample display cabinets and sink. Sunbathed great room features a soaring vaulted ceiling with skylights, wall to wall picture windows, a wood burning fireplace and French door walkout to the enclosed porch. Luxury master bath featuring a radiant heated floor, double vanities and a glass frameless shower. Formal dining room and parlor. Wine cellar. In ground pool and pool house. 6 stall barn and sports court. 3 bedroom guest optional tenant house. 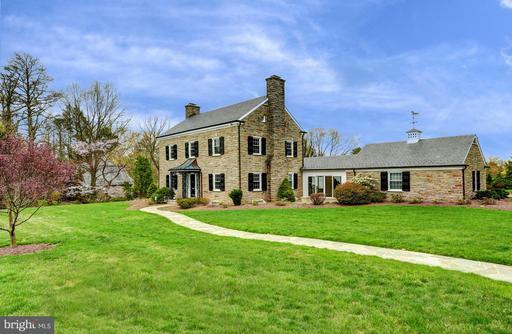 Breathtaking views of over 9 acres of landscaped grounds and the surrounding Roseda farm and only minutes away to enjoy Hunt Valleys vast amenities. 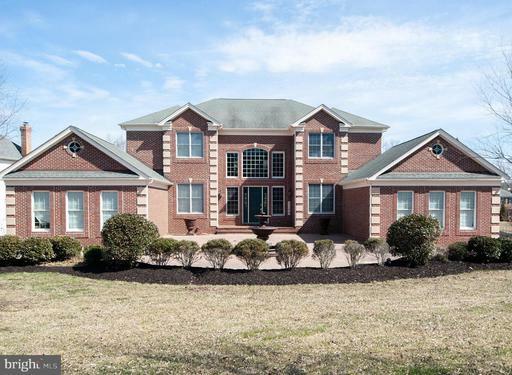 GORGEOUS, STATELY 6 BEDROOM, 5.5 BATH CUSTOM BUILT BRICK HOME. ELEGANT 2-STORY FOYER WITH SWEEPING STAIRCASE GREETS YOU. FORMAL LIVING ROOM WITH FIREPLACE. FORMAL DINING ROOM WITH PICTURE CROWN MOLDINGS. FAMILY ROOM WITH BUILT-INS FIREPLACE. EAT-IN KITCHEN WITH BREAKFAST AREA PANTRY. IMPRESSIVE MAIN LEVEL MASTER BEDROOM SUITE WITH FIREPLACE, 2 WALK-IN CLOSETS LUXURY BATH. UPPER LEVEL HAS 4 GENEROUS SIZED BEDROOMS, DEN 2 BATHS. THE FINISHED LOWER LEVEL FEATURES A HUGE FAMILY ROOM WITH WET BAR FIREPLACE, EXERCISE ROOM, BEDROOM, BATH TONS OF STORAGE. EXPANSIVE REAR DECK BEAUTIFULLY LANDSCAPED GROUNDS. GREAT CONVENIENT LOCATION. 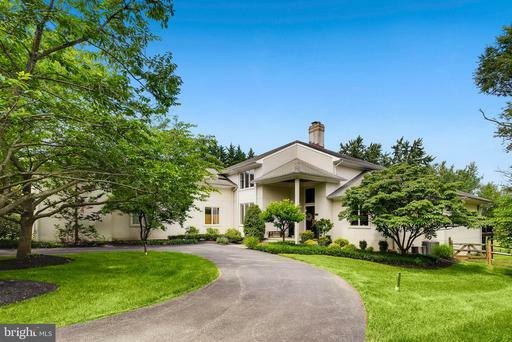 This stunning property, located toward the end of a private lane, combines classic elegance with modern amenities, and is situated on a picturesque paradise right on the Chesapeake Bay. The foyer welcomes you with soaring ceilings and a decorative Mexican tile floor. All three full baths are finished with marble and marble tile. The dining area, with its inviting fireplace one of three, opens onto the spacious and well-appointed gourmet-chefs kitchen. With marble counter tops, it is designed to provide the ideal setting for entertaining or for enjoying the closeness of a family meal. French doors from the kitchen lead to a gracious screened porch. Enjoy the privacy of the expansive master retreat on the first floor, including a fireplace and french doors leading to a bright and spacious sun room with dramatic walls of windows framing gorgeous views of the grounds and the bayfront. There is a lavish marble master bath flooded with light. Ascend the wide staircase to a great room with vaulted and beamed ceilings, built-in bookcases and cabinetry, wet bar, another fireplace, large windows and french doors leading to a wrap-around deck affording a birds eye view of lush grounds, the fabulous diving-depth gunite pool, and the bay beyond. The unconventional floor plan offers endless possibilities and extraordinary views. The exquisite lawns lead to the bay front and a path to the water. Let the kids and grandkids enjoy calm summer days at the waters edge swimming, kayaking and canoeing; walk on the beach at low tide! Everything oriented to endlessly gorgeous sunsets. Just minutes to charming downtown Rock Hall and 11 different marinas on the bay, or to Chestertowns farmers market and Washington College. 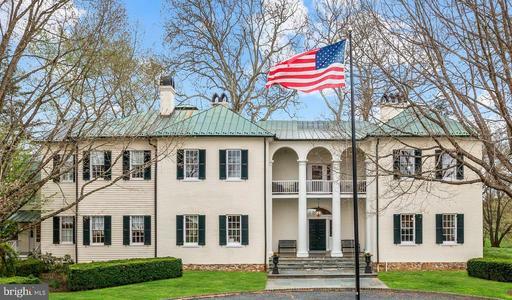 Just two hours from Philadelphia, Baltimore or DC, this is a rare location with much to offer as a second home or a forever home. Impeccably maintained home on very desirable block in distinctive Homeland community! Five bedrooms, two full baths, on private upper levels. Main floor features a welcoming living room, separate formal dining room as well as an updated sun room for your comfort. Stuart kitchen upgrade with high end appliances and Sub Zero refrigerator. Lower level features beautifully finished family room with built-in cabinetry and outstanding laundry/utility room. Home sits on professionally landscaped quarter of an acre fully fenced for your pets and features a detached garage, incredible patio for entertaining and fountain area...very private! Easily walkable to outstanding schools...this is a must see home, just listed! Vacation every day! Thats how you feel living here. You come home from work early thanks to your short commute, tuck your car in to the garage, and head upstairs to decompress. You pour yourself a glass of wine and start to prepare dinner in your chefs kitchen outfitted with Viking appliances, abundant cabinet space, and large slabs of polished granite counters. Friends come by and you enjoy your open layout so you can converse while cooking. You all sit down to dinner with a waterfront view that would command a premium in any fine restaurant in town. After dinner, you head up to the roof terrace to watch Mother Nature paint the sky red and orange over the downtown skyline. You say goodnight to your friends, light a fire in the two-sided gas fireplace in your master suite, slip into the jetted tub and reflect on how fortunate you are to live here, steps away from the waterfront promenade with shopping, dining and entertainment at your doorstep. This home is absolutely stunning. No detail or extra has been overlooked. 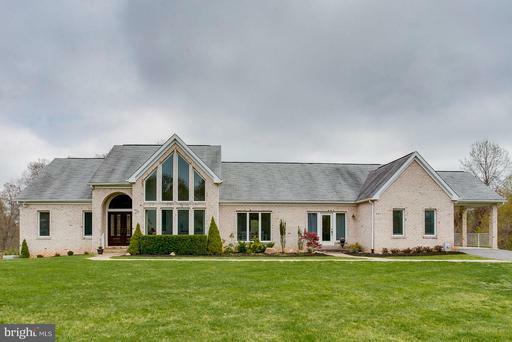 This 4 bedroom, 3.5 bath home features a gorgeous gourmet kitchen with a huge natural stone island. Antique white finished cabinets that provide ample storage and have under cabinet lighting, a bar area, GE Profile stainless steel appliances, touch activated Cassidy Touch2O kitchen faucet, pendent and recessed lighting, and beautiful hand scraped hickory hardwood floors. The large dining area with custom chandelier is just steps away from the kitchen making this home perfect for large family gatherings and entertaining. Did I mention the full-length plantation shutters that can be found on almost every window throughout the house? The open concept kitchen leads to a spacious family room with balcony access; perfect for grilling! The family room also features a custom white stacked stone surround gas fireplace nestled by built-in adjustable shelving. In addition, the room features ample lighting and an airplane prop style ceiling fan. One level up youll find two beautiful master bedrooms with en suite bathrooms consisting of gorgeous tile and dual granite vanities and large walk-in glass showers with bench. The laundry room is on this level as well! Master suite number one has an upgraded extra-large custom closet designed by Closet America. 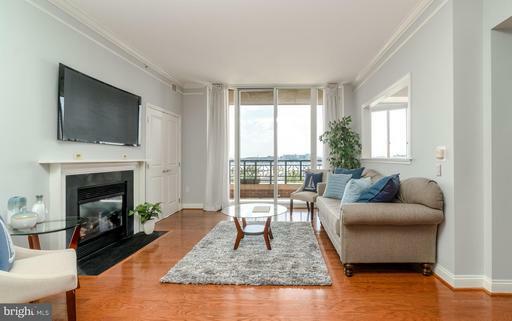 Upper level two consists of a large game/2nd living room with dry bar, oversized industrial style ceiling fan, full bath and French door access to a terrace with awesome city and harbor views. A large bedroom with walk-in closet is also on level two, situated just off the game room. The rear of the home is one of the few built of all brick, rather than siding, and consists of a two-car rear access garage four car parking total. From within the garage you~ll enter the second foyer which consist of wood style ceramic tile flooring. Youll also find another bedroom and half bath on this level. 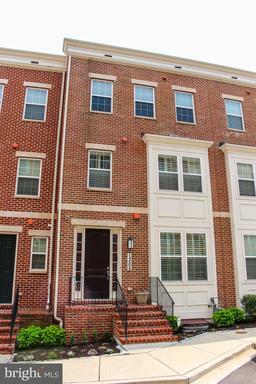 Come view this amazing home located near the harbor and the heart of Baltimore. 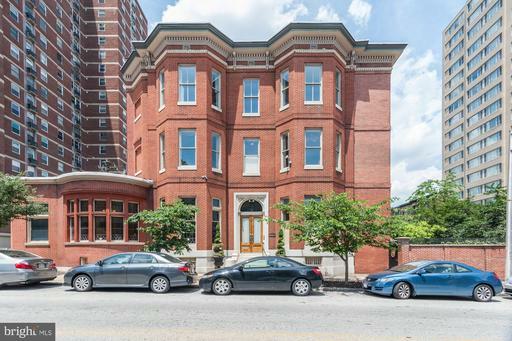 A prime location, within walking distance to historic sites, shops, bars, restaurants and more! WOW! One of the finest homes to catch your eye and heart. 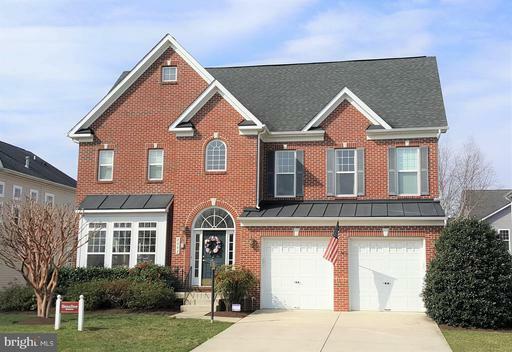 Become only the 3rd owner of this impressive 4 bedroom, 3.5 bath, 2-car attached garage brick/sided colonial in Valewood at Hampton Gardens. 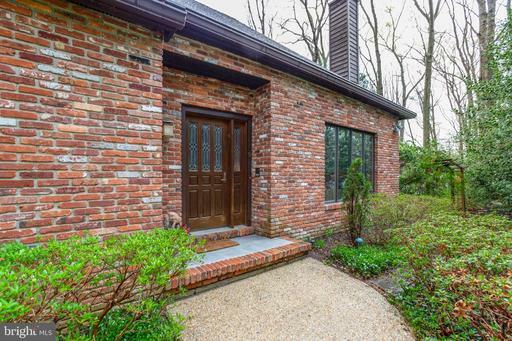 Come up the brick walkway and enter through the new 2018 front door with sidelights into a center entry foyer - it looks like an interior decorator lives here! 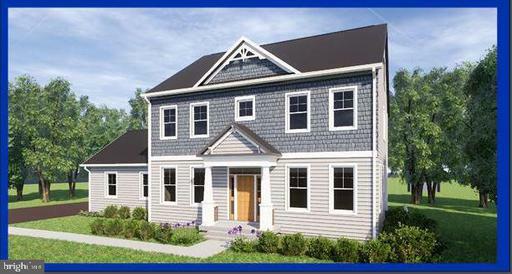 Featuring wood floors and crown molding in the foyer, living room, dining room, and 1st floor family room plus either chair rail or wainscotting in each of these rooms. The dining room includes a corner cabinet and sliding door to the rear deck 13x11 while the family room boasts a converted gas fireplace with glass screen, wood trim, mantel and ample built-in shelving. The country kitchen has ceramic flooring, granite counters, updated appliances, recessed lighting, and a dining area with a sliding door to a screened porch 20x11 with skylights and ceiling fan. A powder room is conveniently located off the hallway between the kitchen and garage entry. There are 4 bedrooms with new 2017 carpeting upstairs. The main bath was remodeled in 2011 and has ceramic floors. The master bedroom suite was remodeled in 2017. The new master bath has a glass and ceramic shower, heated ceramic floor, quartz counter, linen closet, and soft-close cabinet doors. There is also a custom-built walk-in closet. The adjacent office/sitting room/nursery includes a pocket door to offer privacy from the master bedroom, recessed lighting, built-in shelves, and skylights; the office desk can even stay! 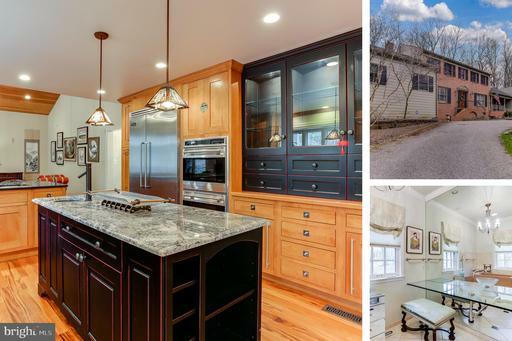 A finished carpeted basement includes 17 feet of A/V built-in cabinetry, the large clubroom area, full ceramic bath, an updated door to the back yard, a Rinnai gas furnace, and sump pump with battery back-up. The craft room includes the laundry, cabinets, closet, work surface and desk, ceramic floor and electric baseboard heat. A separate workshop has shelving and a bench exclude the red metal peg board. There is a Geo-Spring heat pump water heater and Water-Cop auto water shut off system. All appliances, window treatments and blinds stay. 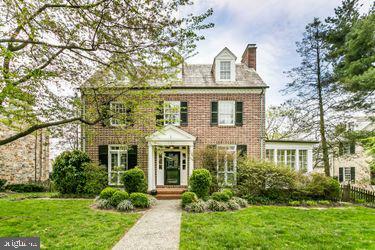 Outside is beautifully landscaped with front and rear brick walkways, a parking pad, and a Williamsburg style 9 x 12 floored garden shed with tilt-out windows, arched double doors, and Cupola on 0.58 acres. The roof, 4 skylights and attic ventilation system controlling temperature and humidity were updated in 2012. The windows are updated Anderson fiberglass insulated tilt-in replacement windows. There are pull-down stairs to the attic which has switched-lighting throughout, partial flooring, R54 batt insulation, and a remote controlled whole house fan. Gutter guards help reduce exterior maintenance. The septic distribution field and boxes were updated in 2005; the system is inspected and cleaned out annually. Finally, for any lacrosse enthusiasts, this has been home to 2 NCAA All-Americans. Come see this home today! Listing Broker: LifeLine Realty, LLC. 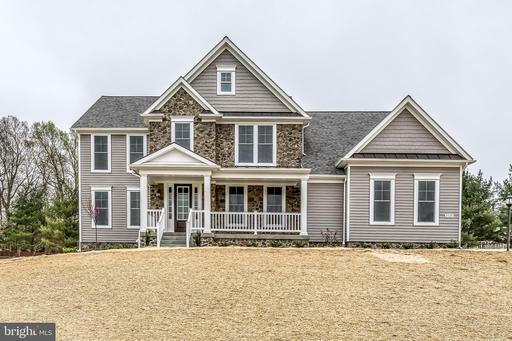 Welcome to the "Potomac" I will be considered the best automated home in Beltsville A Craftsman built with all the accents, doors, cabinets, windows, etc. I will reside in a well established subdivision where lots of tall mature trees surround. I will be the first new home built with cement fibers Hardi Plank within the subdivision. The large windows will look out to acres of parkland and sit high above street level. My kitchen will come fully equipped with your choice of granite or quartz counter tops. Our guest will enjoy gathering in the family/ great room while utilizing the kitchen center island to receive plates, bottles, etc. As you walk in through the front door youll be welcomed to hardwood flooring that flows from the foyer, the hallway, powder room, mud room, kitchen, breakfast area, and family/ great room. Youll never feel shrunken on any floor of this home, I will have 9 foot ceilings on all levels. The side load garage allow more ways to highlight the front landscape that will be started for you. Never worry about driving into work from here as you utilize any means of travel to the area train station less than 3 miles away that goes into DC and Baltimore. Theres so many extras that you may want added to fulfill your needs like a finished attic with natural daylight, a loft, bedroom, and a bathroom. Would you dare to complete the enormous basement later or have it done now? My 34 foot wide recreational area, and 145+ sq ft of bedroom space with a private bathroom will be ideal for numerous possibilities. I can also accommodate a main level bedroom and a full bathtub/ shower bathroom for anyone not wanting stairs. We will enjoy the warmth on the cold days with the *natural gas* heating furnace, hot water heater, cooking/ baking, as I will also have an outside connection for BBQ grilling thats just outside the family/ great rooms sliding doors. You may even want to add a gas fireplace in the family/ great room to complement the wall. I welcome pets here as well as the suburban style roads in the subdivision that allows for long dog walks and exercise. If you are a Smart Car, Tesla, or any electric car owner youll leave home with a full charge as there can be a charging port installed inside of my garage. The very latest IQ Pro Panel system that comes standard will give you full control of your home wherever you are with scene setting options and more. If youd like to have your own "Farmhouse" built instead of the Craft style, you can at an extra cost. I will be the only home built as theres no associations to consider. The lot has been cleared with the building permit in hand as you can see me grow from the ground up! Check out the floor plans and all the standard features and options. I welcome all who dare to have and own a very unique home! I appreciate your interest. Elegant Condo With Stunning Views From Every Bedroom In This 3 Bdrm, 2.5 Bath in Spinnaker Bay! Living Room Offers Private Balcony Facing The Harbor Gas Fireplace, Sep. Dining Room, Updated Kitchen W/ Granite Counter Top, Breakfast Bar, Eat-In Breakfast Nook, Hardwood Floors Throughout, Master Bedroom W/ 2 Walk-In Closets, 1 Car Private Parking In Garage. Comm. Exercise Room Pool On 8th Fl! 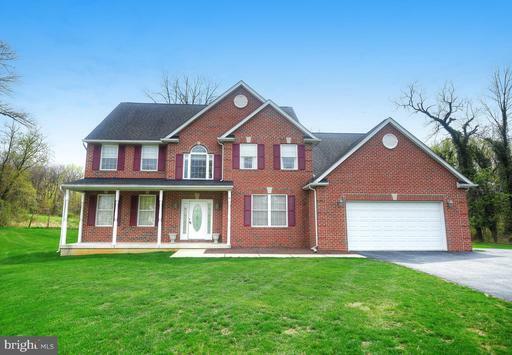 MOVE RIGHT INTO THIS FABULOUS 4 BEDROOM 3/2 BATH CUSTOM STONE AND SIDING COLONIAL ON QUIET STREET. HIGH QUALITY FINISHES TO INCLUDE COIFFURED CEILINGS, GOURMET COUNTRY EAT-IN KITCHEN W/GRANITE COUNTER TOPS, TOP OF THE LINE STAINLESS STEEL APPLIANCES INCLUDING WARMING DRAWER, ETC. ADJOINS DINING ROOM W/FIREPLACE. BUTLERS PANTRY W/WINE RACK. SPECTACULAR FAMILY ROOM W/SOARING 19~ CEILING AND GAS FIREPLACE. LIBRARY OFF ENTRY WAY. 4 GENEROUS SIZED BEDROOMS. PRIVATE BALCONIES OFF TWO BEDROOMS. MASTER BEDROOM W/TRAY CEILING AND LUXURY MASTER BATH TO INCLUDE SOAKING TUB AND WALK-IN SHOWER. CUSTOM MASTER CLOSET WITH GRANITE TOPPED DRESSER. LOWER LEVEL COMPLETELY FINISHED W/CLUBROOM, GAMEROOM, GYM, ETC. EXPANSIVE TREX DECK OVERLOOKS SERENE PRIVATE SETTING. RELAX IN THE BACKYARD AND ENJOY THE FIREPIT. Gorgeous 4 bedroom 3.5 bath home in Phoenix! This home shows beautifully from top to bottom with over $100K in improvements! Features include: Gourmet kitchen with granite, stainless steel appliances, subway tile backsplash pendant lights over the island, the sellers added a mudroom with main level laundry, hardwood floors on main level, LED recessed lights throughout the home, main level office, fully finished walk-out basement with full bath sauna! Other noted items: whole house water filtration system 2018, large deck 2016, HVAC 2015, hot water heater 12/18, garage doors 2016, carpet 2018, new siding. 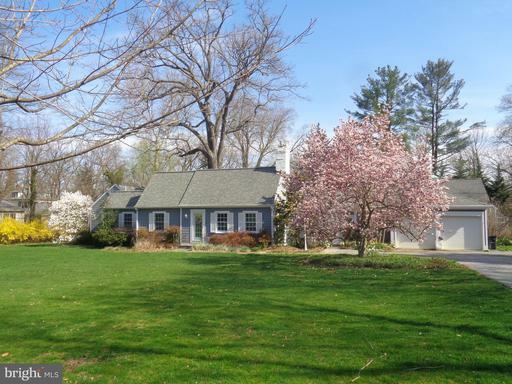 The seller also removed over 20 trees over the 3+ acre lot! Jacksonville elementary. 3 bedroom, 2 ~ bath, 2 story brick home in beautiful private setting,overlooking pastures, woods, and tranquil streams. Located in much sought after Monkton. 3418 total sq ft 2818 sq ft finished approximately 600 sq ft unfinished room above garage with partial electric and plumbingrough-ins. 6 stall barn, 4 fenced pastures, 2 paddocks, and a lighted ridingring. Access to riding trails and the bike and hike trail. Equipment building and 2 sheds. Hereford Zone school district. 5 miles to Hunt Valley area. 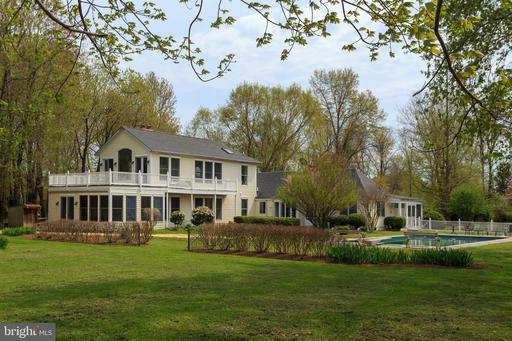 Waterfront estate set on 73 Acres with about 1,600 feet of shoreline! This waterfront retreat nestled in a private setting offers fabulous views of the Elk River and ships navigating to and from the C D Canal. The house includes 4 bedrooms plus a 3 bedroom guest quarters / in-law apartment; providing a total of 6,814 finished square feet. 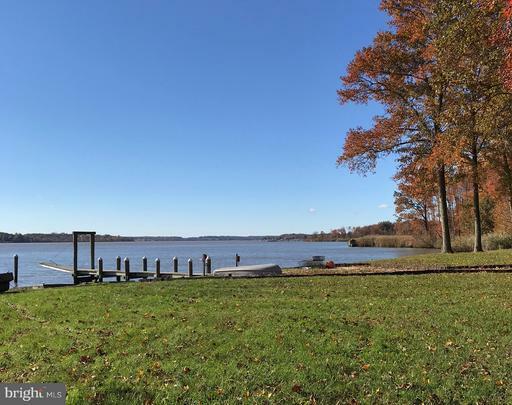 This property offers the best of the Chesapeake Bay lifestyle; boating, fishing, hunting, or just relaxing on the waterfront deck enjoying fresh steamed crabs. Imagine your boat waiting for you on your own private dock, or hunting in your own waterfront duck blind. You can wonder through acres of beautiful forest with streams and a large meadow without leaving your property. The house provides water views from most rooms and was built to last with 2x6 walls, a full basement and a 4 car garage! There is plenty of indoor and outdoor space for family and friends or large events. 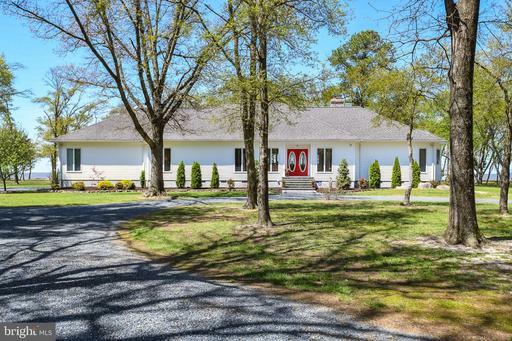 Strategically located at the top of the Chesapeake Bay; close to marinas, Elk Neck State Park Forest, a private airport and the historic town of North East. Only 50 miles from Philadelphia or Baltimore, 90 miles from Washington DC or 2 1/2 hours to New York City. You can continue the benefits of the low Ag tax rate or pursue subdivision options. An Amazing property with great possibilities! Call to schedule your private tour. The best of what city living has to offer. 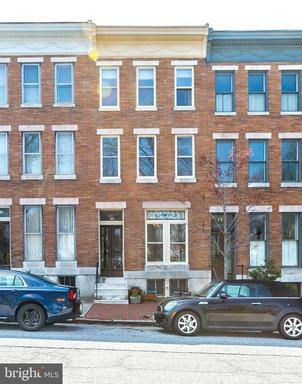 Refined three level townhouse in prime Federal Hill block facing Federal Hill Park. The main level offers an elegant living room, formal dining room, updated kitchen with stainless steel appliances half bath on main level. The second level features three generously sized bedrooms updated bathroom. The third level has an additional bedroom, office/family room, wet bar and full bathroom. Basement provides good storage. Large backyard patio + lovely spacious rooftop deck. The house offers high ceilings, hardwood floors, period light fixtures so many goodies an old house aficionado will appreciate. The heating system is quite young there has been recent extensive chimney work done to the property. 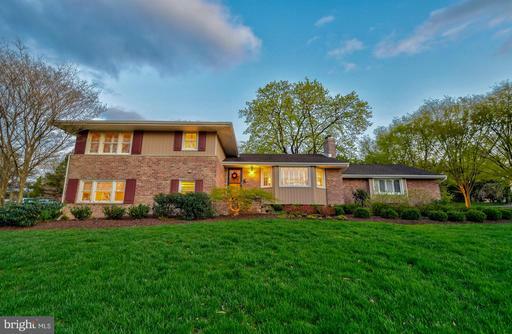 The owners have meticulously maintained updated the home over the years and are ready for a new owner to love 339 Warren as much as they have. 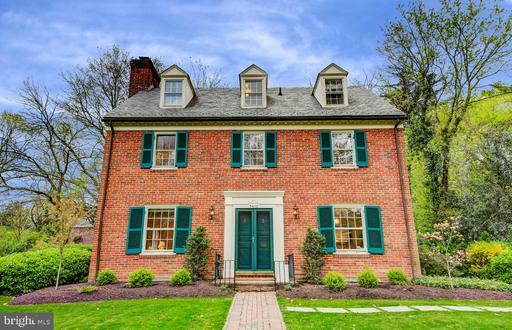 Picture perfect and beautifully renovated five bedroom, four and one half bath classic brick Colonial with two car garage on wonderful street in Homeland. 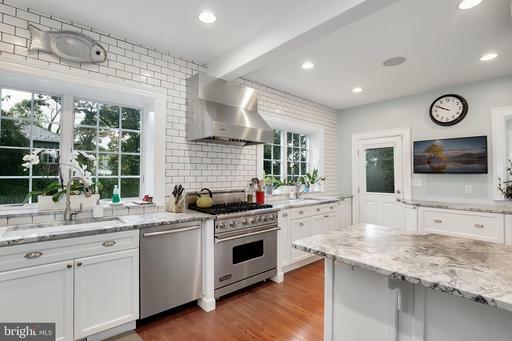 A chefs kitchen along with four renovated bathrooms are just some of the updated features in this lovely home. A fully finished lower level with family room area, Murphy bed, kitchenette and a full bath with a Japanese soaking tub. Professionally landscaped fenced rear yard with patio and a putting green make for great summer outdoor entertaining! Bring your best offer, seller is motivated! This home has been meticulously renovated with high end finishes. 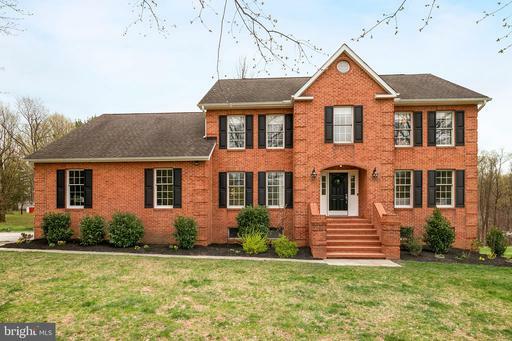 A 5 BD, 4BA beauty in Historic Guilford, this home offer a gracious center hall, formal LR w/wood burning FP, formal DR w/built-ins, and study with French doors leading to screened porch patio. Chefs kitchen w/6-burner Viking Range, granite counters 2 sinks. 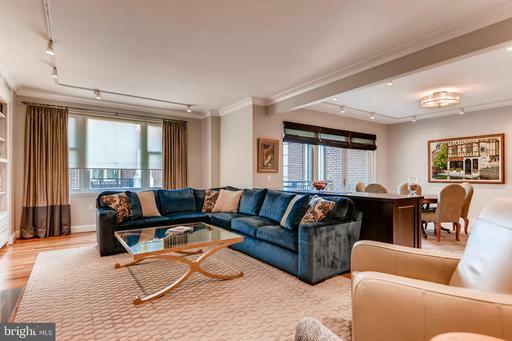 Spacious rooms throughout 4 levels, all w/beautiful original detail mixed with modern flair. Dual zoned central A/C , slate roof. Call the movers, this is the one! Amazing Renovated and Expanded Pot Spring Home with Kitchen/Family room addition and Master Bedroom/Master Bathroom addition plus all Updated Bathrooms, new HVAC w/internet control, New Carpet, Refinished Oak Hardwood Floors throughout, Second Master Bedroom Suite, Multi Level Patios, 2 Car garage with bonus workshop/storage space, mudroom/laundry room off garage, Fenced yard on 1.13 Acres on a Private Cul-de-Sac in very desirable family-friendly Pot Spring neighborhood. 5 bedrooms plus bonus room/office space with separate entrances. Move right in and enjoy the gourmet "Baker~s Kitchen", Family Room, Raised Vegetable Gardens, mature Blueberry bushes gallons of fruit! and Raspberry bushes, Large Cherry, Apple, Crabapple and Peach Trees. 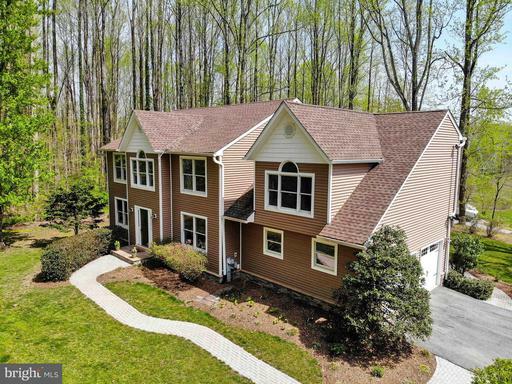 This Private Oasis is close to everything you need to do with easy access to 83 and 695, this home has tremendous living space indoors and out plus a dreamy amount of storage! 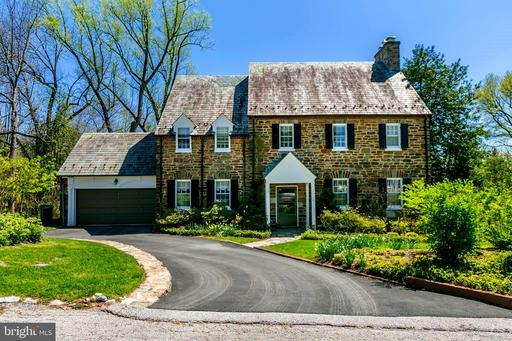 Beautifully updated and meticulously maintained four bedroom, three full bath, sprawling home with two car garage, pristinely sited on over half an acre of landscaped grounds in Lutherville. Gorgeous hardwood floors, custom moldings, plantation shutters and designer lighting are just some of the features that grace the interior. The main level boasts a spacious living room with gas fireplace adjacent to formal dining room and spacious chefs kitchen with two 30" double wall side opening ovens. Incredible great room featuring a family room and dining area with stunning gas fireplace, cork floors and granite topped built ins. Master Suite with terrific bath and walk in closet. Completely finished and versatile lower level with laundry area as well as craft/play room with access to garage! Covered rear porch and patio with skylights, expansive landscaped grounds with hot tub and patio! Nothing to do but move in! 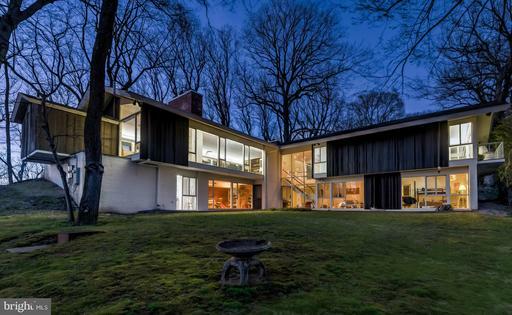 Stellar 1950s mid-century cedar and glass masterpiece by Charles Nes in the heart of Greenspring Valley. A coveted classic. Natural light abounds. Magnificent walls of windows with panoramic valley views in the distance from your expansive terrace. Timeless lines and proportions that simply make you feel good. Sited with incredible sensitivity to sunrise and sunset that enhances your daily existence. Inviting first floor suite with peaceful woodland views private balcony. Zippy access to everywhere you want to be. 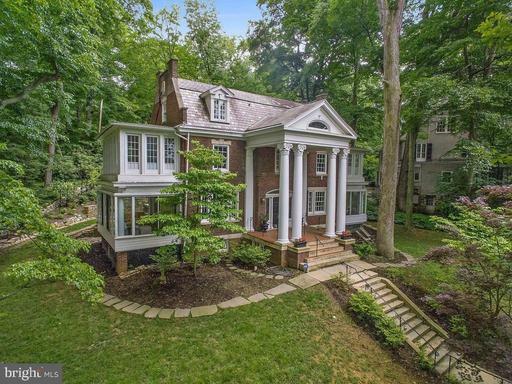 Breathtaking colonial sets the standard for luxury and quality. 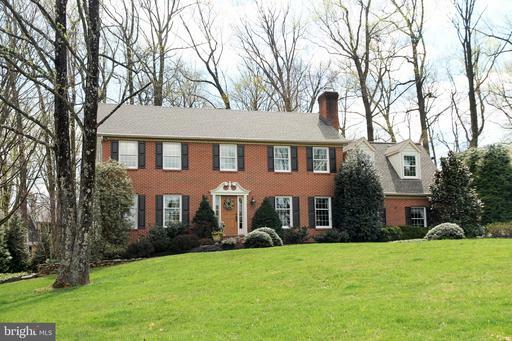 With high ceilings, wood and ceramic floors.5BR, 4/1BA home. 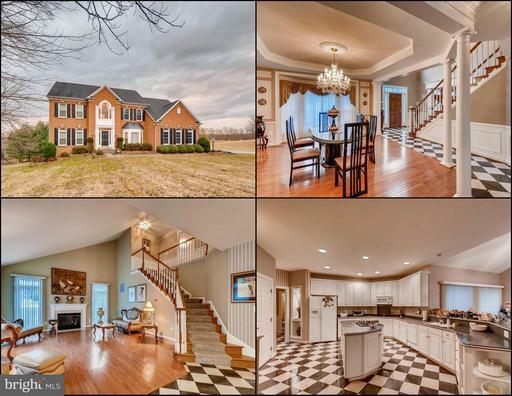 2-story Foyer, formal LR , formal DR, 2-story FamRm w/FP flows to gourmet Kit. 1st floor custom trimmed Study . MBR w/spaBA huge closet space. Finished LL RecRm,, Sauna, BR BA. New windows. Maintenance. free deck overlooking immaculately manicured landscaping. 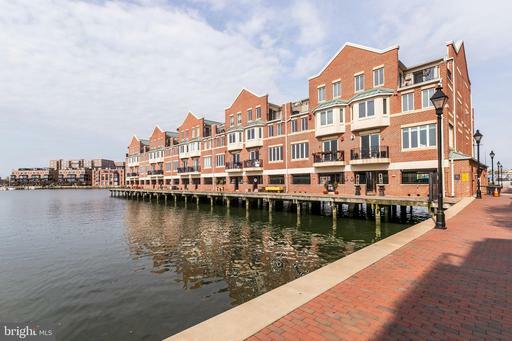 Exceptional residence with one of the most desirable floor plans at Baltimores most luxurious waterfront address. Boasting over 2,500 SF, this 2 BR plus office, 2.5 BA residence showcases the finest details throughout: Teak flooring, private elevator, extensive built-ins, Chefs Kitchen with custom backsplash and expansive island, wet bar, floor-to-ceiling windows, spacious Master Suite with designer marble spa bath, and two balconies that overlook the English Gardens and Inner Harbor. Enjoy the 5-star amenities The Ritz-Carlton Residences has to offer: Indoor Salt Water Pool, Theater, Fitness Center, Guest Suites, Valet, and 24/7 Concierge. REAL ESTATE AUCTION ON PREMISES ONLINE THUR. MAY 30TH @ 12:00PM. List price is suggested opening bid only. Pre-Auction Offers Considered! 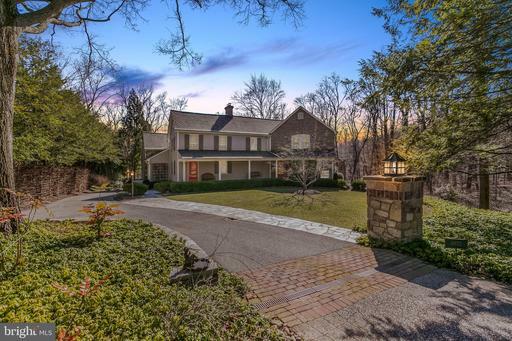 Expansive Custom Built Home Located in a Privately Gated Enclave in the "Dumbarton Woods" Area of Pikesville. The home features over 7,000 +/- square feet of finished living area, offering 5 bedrooms, 5 full and 1 half bath, impeccable finishes, luxe master suite with spa bath, gourmet kitchen with professional appliances, two story living room with grand wood-burning fireplace and wood-stained custom built ins, along with a series of arched openings looking down from 2nd floor, and finished lower level. Prime outdoor living with multiple covered patios, covered terrace, park-like grounds, private driveway and an attached garage. A RARE opportunity to own this luxury carriage home with endless upgrades throughout. Built in 2013 and the best location in the community. Open floor plan designed for entertaining features a gourmet kitchen with high end granite appliances, 5 bedrooms with 1st and 2nd floor master suites, 4.5 spa like custom baths, 1st floor office, fully finished walkout lower level with full wet bar and temperature controlled wine cellar. 2 car garage and low maintenance living. PLUS, gas line to deck for unlimited grilling, grill included with the sale! OPEN SUN 4/14 1-3 ***Convenient quiet location close to everything. 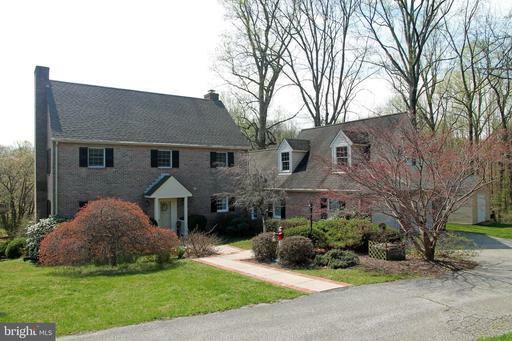 Handsome STONE COLONIAL, 5 bedrms, 3 full baths 2 half baths. Great floCCw on the 1st flr. Liv rm w/fpl, fr doors to sunny Din rm, open to Family rm w/vaulted ceiling walls off windows, opening on to deck. all looking at a peaceful vista. Kitchen new 2007 w/built in brkfst area, mud rm. Attacched car garage with HOT cold water. Lower level boasts club rm separate office with stone fpl. wood /could be gas laundry half bath. 2019 New Roof on Family Rm Dining Rm, New Disposal,New Gas Line on Winding Way to the house. Also Winding Way was just repaved. 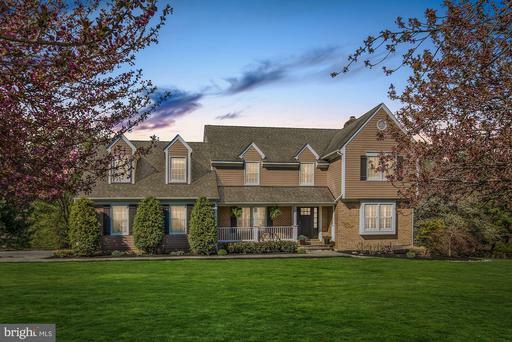 Breathtaking colonial sets the standard for luxury and quality. With high ceilings, wood floors. 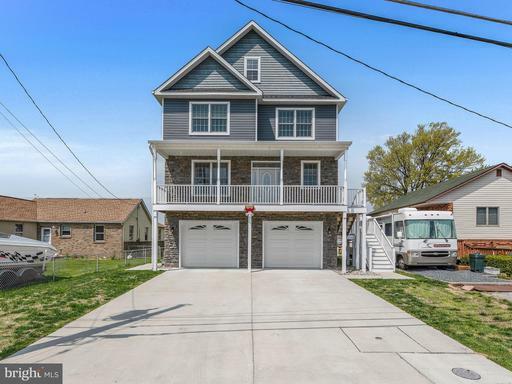 5BR, 4/1BA home. 2-story Foyer, formal LR , formal DR, 2-story FamRm w/FP flows to gourmet Kit. 1st floor Study and in-law suite. MBR w/spaBA huge closet space. Finished LL RecRm,, BR BA. Newer windows, roof. solar panels, generator for the entire house. Large deck. overlooking immaculately manicured landscaping. Inground, heated pool. 5 car garage. Huge driveway. MUST SEE! Pages: 15 Page: 1 2 3 4 5 6 7 8 9 10 11 See more homes at one time! Change to 10 12 30 40 50 70 100 150 homes per page.